CSI etc. 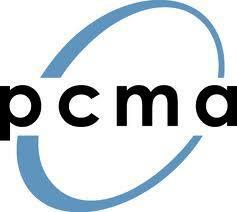 is a National Trade Show and Exposition Services Contractor. We are a team of very extraordinary and established professionals with over 30 years experience in the Trade Show, Exposition, Convention, Conference and Freight Industry. We guarantee that you will receive the service and professionalism that you and your guests expect and deserve. Our commitment to you is one of quick response time, creative solutions and quality operations. And, of course, providing the best value for every dollar spent. Our primary goal is to provide a professional, seamless, and positive experience to all those who entrust us with their conference and trade show needs. We believe we are the right partner for you and we can’t wait to get started! Our goal is to become an extension of your team. 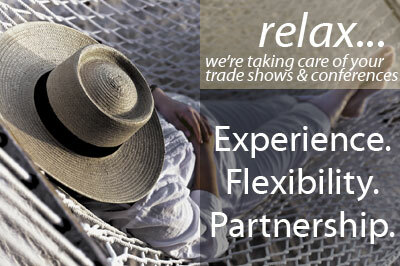 We are here to make your job easier and ensure your trade show is a success. As with all trade shows we know you only have one chance to get it right and we want to be the partner that brings you accolades from your attendees. CSI etc. has the capacity to provide full service show contracting or can provide products and services, “a la carte” on an as needed basis. Our commitment to customer service, and our personalized approach makes an excellent choice for your next event. CSI etc. state of the art online service capability allows exhibitors to view and order all required items and services on line, reducing paperwork and simplifying the entire ordering process. We offer to our clients a streamlined process that consists of on line ordering for your exhibitors, floor plan options, and customer service, which includes on site management. Thank you for visiting our website for additional information please do not hesitate to call one of us. You can use our OnLine Proposal as well. Renting a display is an inexpensive alternative to purchasing one, and a great way to safeguard cash flow. It is your chance to try it before you buy it. Opt for a complete exhibit display or just lease additional accessories to enhance the meaning of your existing exhibit booth. 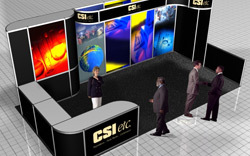 We know that not every company has a custom exhibit; however, we appreciate that appearances can be important when showcasing your business and its products and services. CSI etc. 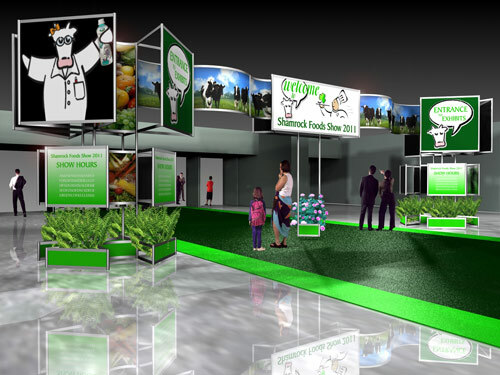 provides a wide variety of pre-designed event displays that can be adapted to any size space.